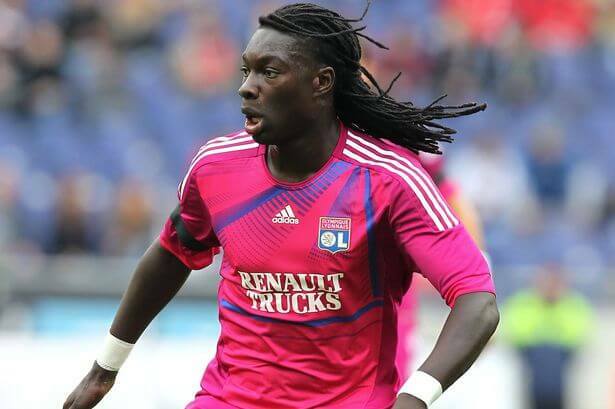 Here’s a look at a player who could be Newcastle’s first senior signing of the summer, Bafetimbi Gomis of Lyon and formerly of Saint Etienne – and here’s some of his best goals from last season. I would usually imbed this video, but the owner has not allowed any imbeds. Comments welcome, but please be civil and respectful to other readers, and keep the comments to football and Newcastle – thanks. I’d love our away kit to be bright Pink would look awesome. 5% would work out at 400,000e, not too bad just have a feeling we’ll tell them too fcuk off now. We’re probably the most pathetic team in terms transfer negotiations in Europe . Are you going to duck and take cover, so you don’t have to come to terms with your ignorance, once again! You’ve already been schooled on 2 separate issues, I should charge you a fee! Seriously just ignore it, it will soon give up. Just had a little look at that video. Obviously you can’t tell much from a few snap shots of his goals but i did notice that he can crack a shot with both feet and his technical ability seems to be decent but like i said too little to make a fair assessment of him, there could be games where he’s taking fresh air shots or contolling badly or skying his strikes. Has anyone seen him play enough to make a comment on his quality? reason : the insults (i dont think anyone wants to hear them. if the gomis and remy deals don’t happen its ashleys fault, no1 elses.dont blame jk or pardew. Not really up to us to pay anything to St Ettienne that has to come out of Lyon´s fee. Cheeky. I would be very tempted to tell them to shove it,if it’s true. I must say I like the player a much better and improved SHola….holding up play is very good…. Another neo-nazi! Showing your true colours, NUFC fans! Won’t attack one of the clique, Ruddy, for using language that is pejorative towards the handicapped, and now because you don’t like home truths, you suddenly get hung-up on one of those terms, to try and get me kicked off, something you’ll never achieve, you circle jerkers! if i was looking at this from an outsiders point of view i would see him as outstanding in 50% of his games and poor in the other 50% and some of those goals came in his poor games tbh ! is your todger hard yet with all this attention ? A word associated to people whose lack of intelligence, manners/etiquette, appreciation, moral fibre and glaring social ineptitude, which in turn allows upstanding, educated, decent, moral, intelligent, socially respectful and hard working people to perceive them as “degenerates” (owing to their inherent and blatantly obvious flaws). drop the deal, this is rediculous now, gan after someone else as they will just keep moving the posts. Anyone for a head-to-head fantasy league for 20 players? damn…. another let down on this player…….. up down up down up down for like a month…. You described the symptoms and effects of Salt Deficiency Syndrome has, connected to the word cretin! but I’m sure you won’t let the truth get in the way of your need to protect your sense of self-righteousness. I’ve seen enough to note you don’t learn the whole truths, just enough to try and worm the info into your argument – maggot! What do you mean, we won’t achieve getting you kicked off? You were kicked off as plana right? I complained to Ed that you kept referring to JFA as an obnoxious little turd, with no attempt to actually engage him in discussion. We have had a day free of your postings, so I assume Ed acted on the complaint. Then you give yourself away immediately with your new name by referring to JFA as an obnoxious little turd. Scroll down to the C’s, if you’ve learnt your alphabet using your spaghetti and spork on a necklace – dribbler! I know it’s difficult to admit you’re wrong, to a ‘horrible’ person like me – just a straight shooter! Maybe if you didn’t come on purely to insult and mock people the people would take you seriously? Your a very sad little lad, but I’m sure your ” pals” will be on soon to back you up! Really hope you are wrong on this but northern echo are saying we are back in for Bent as the club believe Remy wants to stay in London. Where are people getting we’ve walked away from the gomis deal? 9M for a guy with 1 year left on his contract on a three year deal … crazy? Oh, so now you’re wrong, again, you don’t care!? So free reign to use spastic/cretin/mongoloid etc, or completely prohibited, as they all carry the same connotations? If the latter, I hope you remove your tongue deep enough from Ruddy’s rear, to inform him, as he seems to think mongoloid is reprehensible and cretin is just fine! I suppose he never is a very good point man, for morals, given his background in law. Maybe ye lot could just focus on football as that’s what this blog is about and stop throwing you dummies out of the pram!! !